Andy Murray started the defence of his Wimbledon title this week with a comprehensive win over Alexander Bublik. 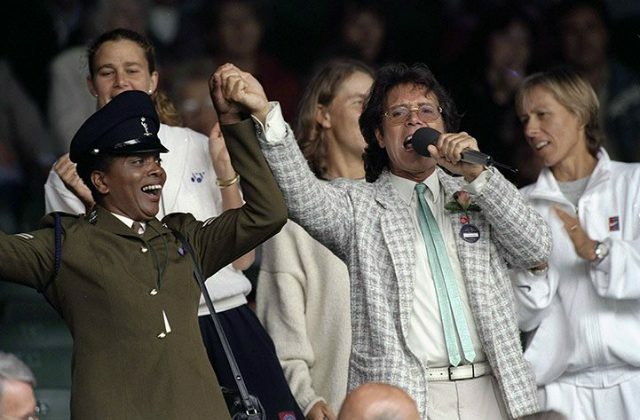 National good-guy Cliff Richard wasn’t having any of the rain that suspended play on Centre Court in 1996. So he started singing Summer Holiday a cappella in the middle of the crowd. Eventually, tennis star Martina Navratilova and a few others joined him as backing singers for renditions of Living Doll and All Shook Up. The stuff of tennis lawn legend. You know that feeling when you’re trying to win a Wimbledon final and a naked person gets in your way? 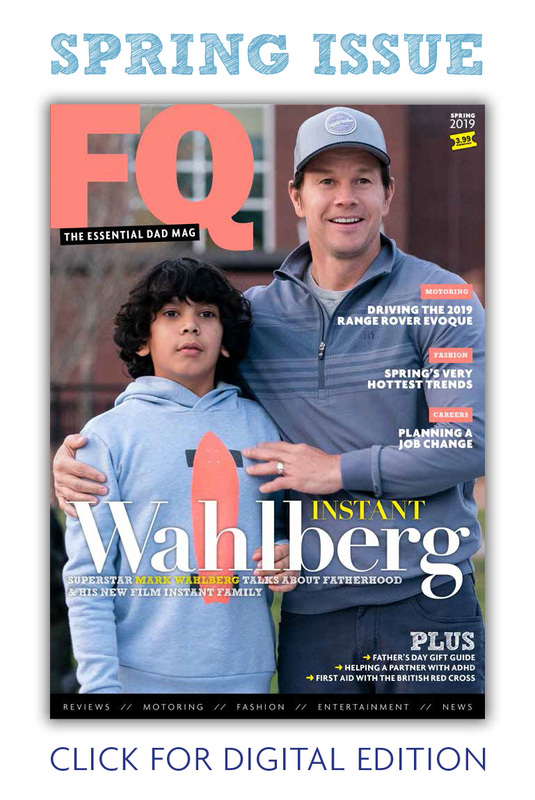 Ask Richard Krajicek and MaliVai Washington. The two were just about to start playing the men’s final when 23-year-old Melissa Johnson decided to go for a near-naked jog on the court. ­Loser Washington later said, “I saw these things wobbling around and, jeez, she smiled at me. I got ­flustered and three sets later I was gone.” That old excuse, eh? 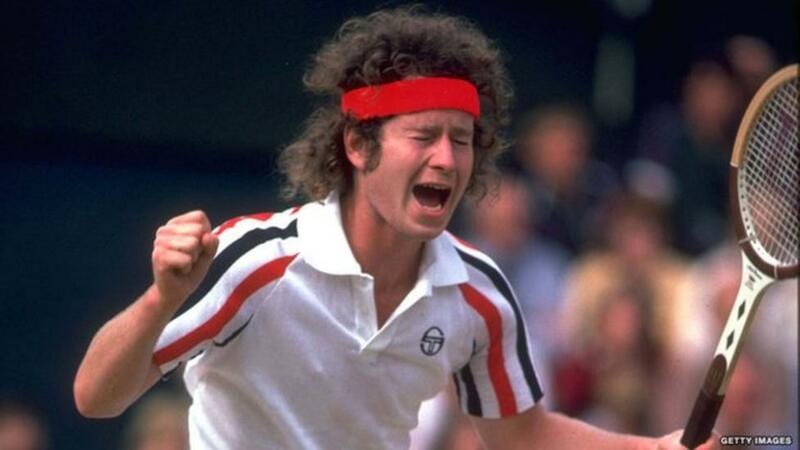 The most famous of all tennis rants came courtesy of John McEnroe during at Wimbledon match in 1981. Indignant the umpire called out his serve when he thought it was in, McEnroe uttered the now immortal line, ” You cannot be serious!” He’s since dined out on that catchphrase, even naming his autobiography after it. When it rains on court, what’s a man to do? In Ilie Nastase’s case, grab an umbrella. The Romanian was already two sets down and the weather drizzling. 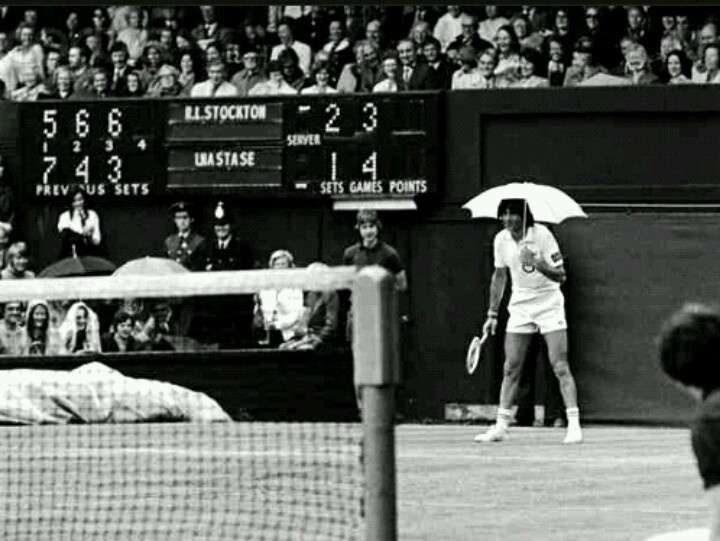 Nastase thought they should go off, but instead he borrowed a spectator’s umbrella for a couple of points to “dispel the tension”. He went on to lose the match. But who remembers that over the umbrella? 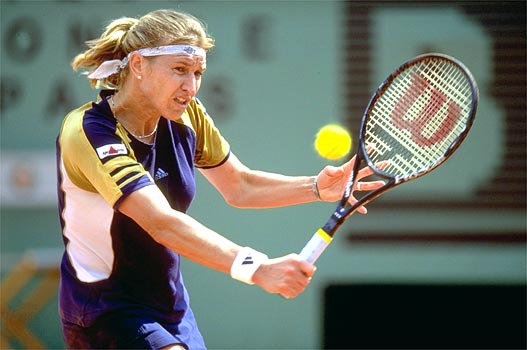 An overzealous fan asked for Steffi Graf’s hand in marriage during a 1995 Wimbledon match. After a little thought and smile, Graf retorted, “How much money do you have?” Someone’s got their head screwed on.